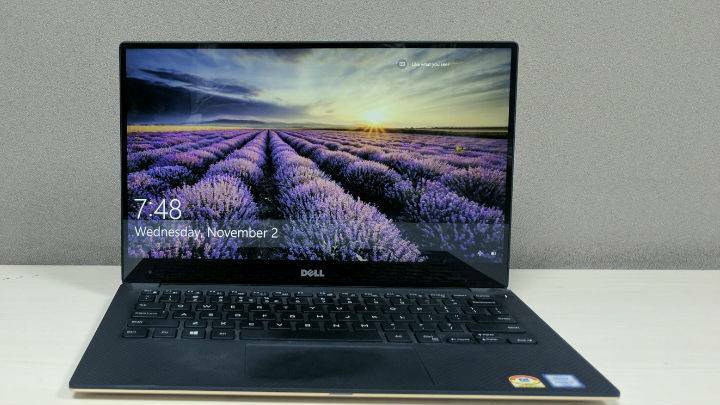 Not only does the Dell XPS 13 have a sharper 3,200x1,800 pixels display, it also has a touch screen, which can come in handy. Now, the MacBook Pro 13-inch has a plenty sharp 2,560x1,600 pixels display which shouldn’t present any usability issues, but the lack of a touch screen can be an issue for a lot of people. More than this, there are literally no bezels surrounding the XPS 13 panel which looks super cool and ensures that the overall footprint of the notebook is slimmer. Some tech writers have literally written sonnets about how Apple has abandoned the pro users with the omission of the standard USB 2.0 jack and the microSD card slot. Well, in this case the Dell XPS 13 indeed does come to you rescue because it not only has a USB Type C thunderbolt connector, but also twin standard USB ports, a SD card reader, a headphone jack and a Kensington lock. The Dell XPS 13 has all your connector needs covered. In these new MacBooks, Apple has shifted to butterfly switches which they first introduced on the retina MacBook last year. Many people complained about the lack of tactile feedback on the first-generation keys and people who have played around with the new MacBook Pro models have claimed that the keyboard isn’t a massive improvement. On the flipside, Dell’s keyboard is a delight to type on. In fact, this article has been typed on this very machine. It is tactile, clicky, spacious and basically provides one of the most satisfying typing experiences I have experienced on a notebook. The touchpad too is very good. It isn’t as good as what one is used to on a Mac, but it is easily one of the best on a Windows laptop and is almost on-par with the Mac. The Dell XPS 13 is also lighter than the new MacBook Pro which weighs in at 3 pounds. The XPS 13 is slightly lighter at 2.93 pounds and yet it matches its battery life. In regular usage, I found that the XPS 13 would give around 8-9 hours which is within striking distance of the 10 hour battery life Apple claims with the new 13-inch MacBook Pro. It is also worth mentioning that all this happens despite the XPS 13 also having a thicker and heavier quad HD touchscreen. The variants that don’t have the touch panel are lighter at 2.7 pounds, and theoretically they should provide even better battery life. While these are pertinent reasons for opting for the XPS 13 over the MacBook Pro, one should also factor in the price. At Rs 129,990 it isn’t cheap for the core i7 model, but then Apple outdoes Dell on that front. Apple is offering the base Core i5 model with just 2 USB Type C ports for Rs 129,900. If you want the high-end model that will set you back by another Rs 25,000 as it costs Rs 155,900. This means that the XPS 13 isn’t only a more functional notebook than the new MacBook Pro, but it is also more affordable. Who can argue with that combination?